The capstone of the festival is the concert featuring Kaia Kater, with special guests Anna & Elizabeth, on Saturday at 7:30 p.m. at the Palace Theatre at 31 E. Main St. in Frostburg. Kater is a Montreal-born Grenadian-Canadian whose old-time banjo skills, jazz-fueled voice and deft songcraft have landed her in the spotlight in North America and the UK, garnering critical acclaim from Rolling Stone, BBC Music and No Depression. Appalachian folk musicians Anna Roberts-Gevalt and Elizabeth LaPrelle combine soul-stirring harmonies, storytelling and use of a traditional “crankie” – an old storytelling art form consisting of a long illustrated scroll wound onto two spools – to bring old-time music and ballads to a new generation of music lovers. Tickets are $18 for adults and $16.20 for youth 18 and under. Tickets can be purchased at the door. This year’s festival focuses on “Exploring Diversity in Appalachia,” featuring presentations on African-American history, music and culture; Queer Appalachia; efforts to diversify the region’s agricultural sector; health-care access and service work in and beyond the Appalachian region. Exploration of the topic will begin Thursday with “The Brownsville Project: A Theatrical Production,” featuring Frostburg natives Clory Jackson and Caroline Hann, at 7 p.m., also at the Palace Theatre. Jackson, who has forged a career leading service support and operations teams for forward-thinking start-up companies, and Hann, the co-artistic director of the Meta Theatre Company, a social justice theatre company that believes theatre is a pathway to justice, have joined forces to present an interactive theatre experience to explore and confront the history of Brownsville, the home of Frostburg’s African-American community, and its social impact on the lives of Brownsville and Western Maryland residents. The theme of exploring diversity continues Friday on FSU’s Upper Quad with the Appalachian Symposium, beginning at 1 p.m. with “Hidden History: A Tour of Brownsville” by author Lynn Bowman, who will walk participants through the period 1927 through the 1950s, when the state purchased property and homes in Brownsville to expand State Normal School No. 2, which is now FSU. Following her tour, at 2 p.m., author Ed Maliskas will discuss his book, “John Brown to James Brown: The Little Farm Where Liberty Budded, Blossomed and Boogied,” which focuses on Abolitionist John Brown, then moves to the Black Elks’ use of the property as their headquarters during the height of the civil rights movement and ends with an exploration of concerts held on the farm featuring legends of rhythm and blues. At 3 p.m., join Queer Appalachia Project Directors Gina Mamone and Kayleigh Phillips for “Queer Appalachia’s Electric Dirt Grows Restorative Justice and Harm Reduction in Appalachia by Redefining the Region’s Media #ourmountainstoo,” as they discuss their work for Electric Dirt, which seeks to celebrate queer voices from Appalachia and the South. Later, at 4 p.m., Maggie Elehwany, vice president of Government Affairs and Policy for the National Rural Association, will speak to the state of health of Appalachia, discussing key health concerns such as the devastation of the opioid crisis, growing shortages in obstetric services and increases in health-care disparities in Appalachia. 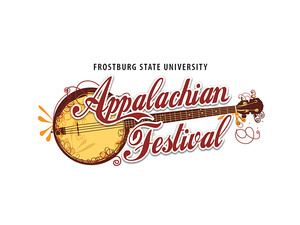 In the last presentation of the day, “‘Sustainable’ Agriculture” at 5 p.m., Corey Armstrong, Frostburg resident and program director of the Sustainable Agriculture Entrepreneurship, will discuss efforts to diversify Appalachian farms. The symposium ends at 6 p.m. with dinner and a performance, “Revelations: A Celebration of Appalachian Resiliency,” by Michael and Carrie Kline and Sparky and Rhonda Rucker. On Saturday, the Session/Jam Tent returns again this year. Musicians of all levels can gather on the Upper Quad throughout the day and play their instruments to the tune of Appalachian genres, including bluegrass, mountain music mix, Celtic and old-time. Also on Saturday, two stages will host a variety of musical groups from across the region. Blue Hill Bluegrass, Highland Grass, the Brad and Ken Kolodner Quartet with Rachel Eddy and Lucas Chohany, Time Travelers, Black Diamond Bluegrass, Allegheny Drifters, the Davis & Elkins College Appalachian Ensemble, Corner House with Jeff Thomas, and the Barnstormers and RockCandy Cloggers will perform on the Compton stage. On the Thomas Subaru Hyundai stage, the Fly Birds, Cory and Heather Wharton, Sparky and Rhonda Rucker, Hay Fever with Pete Hobbie, Davis Bradley Duo, Loretta Hummel and Paul Dix, Fritz Kessler and Jason Twigg, Valev Laube and Charlie Rauh, Jay Smar, Casselman Valley Travelers and Greg Latta will appear. In addition, the Garrett Highlands Pipes and Drums and Frostburg Arion Band will perform on the grounds. Chapel Happenings at 11 a.m. in Cook Chapel will include Embracing Diversity and Songs for Social Justice – from slavery, to mining and labor struggle, to the civil rights movement, LGBTQ struggles and beyond. Performers will include musicians and storytellers Michael and Carrie Kline and Ray Owen. Also appearing in the chapel from 12:30 to 3: p.m. will be accomplished storytellers Katie and Otto Ross, Jo Ann Dadisman, Adam Booth, Rich Knoblich and Mikalena Zuckett, who will enchant the audience with stories and lore inspired by their Appalachian upbringings. Throughout the day, attendees can visit the Explorations Tent. Featured are a presentation about Cresap’s Rifles: The Untold Story of the Riflemen Who Helped Save George Washington’s Army by Champ Zumbrun; Scales to Tales, an educational program using non-releasable birds of prey and reptiles; a presentation featuring some of the more than one hundred interviews for John Brown to James Brown: The Little Farm Where Liberty Budded, Blossomed and Boogied by Ed Maliskas; the American Chestnut Foundation, which aims to restore the American chestnut tree to the eastern woodlands; Choose Civility: Allegany County, a grassroots initiative to improve and enrich Allegany County by promoting civil conversations and kindness; and Appalachia Beyond the Borders, where area residents will discuss their work in multicultural national and international communities. In the Folkways Tent, festivalgoers can learn how to play the dulcimer, join several dance workshops or a hambone and body percussion workshop, as well as learn about the African-American ballad tradition or traditional medicinal plants of Appalachia. In addition to plenty of food and entertainment for all ages, the festival will provide activities and programming specifically for children, who can join in singalongs with multi-instrumentalist Ray Owen; join the Sunnyland Band and play along on spoons, jugs, washboards and all kinds of instruments from other countries; paint goat-shaped silhouettes at the Capering Kids 4-H Goat Club display; and make traditional Appalachian toys at Hands-on Arts. A variety of artisans are also featured throughout the festival, offering tatting, pottery, ceramic wares, industrial-style sculptural pieces and accessories, quilting, watercolors, jewelry, knitting, basket making, decorative gourds, fiber arts, African masks, woodworking, cigar box banjos, weaving and mountain dulcimers. Also on the grounds are the Heishman HoneyB Hut and Garden City Bees (honey and beeswax products), the Nettle Patch (organic products), Allegany Allied Arts, the Western Maryland Chapter of the Archeological Society, Engage Mountain Maryland, Appalachian Mountain Books, Wynter’s Haven (natural personal and home care products), the Frostburg Museum Association, Yellow K Records, Allegany County Women’s Action Coalition, Allegany and Garrett County Bird Club, American Chestnut Foundation, NAACP – Allegany Chapter, Connector Entity Program of AHEC West (qualified health plans), Frostburg First, Wholesome Harvest Co-op, Nemacolin Chapter of Trout Unlimited, the Sierra Club – Western Maryland Group and Appalachian Laboratory.